This book comes freighted with more expectations than many – Ishiguro may, after all, be the only novelist of his lauded generation who has never produced a bad or even mediocre novel. But there are fears, too – his last two books (Never Let Me Go, and the story cycle Nocturnes) are my least favourites. Is he on the slide? My first response to The Buried Giant was to realise how rudderless we feel in the teeth of a new book which is really new, sui generis, and how much we rely on – or at least use as a springboard – existing and received opinion about strange classics. I first read it a couple of months before publication, and came away buzzing with admiration but otherwise not knowing precisely what to think. (It was, I think, my desire for precision that was the problem.) I spoke to several others who had read it early, and a theme recurred – “befuddled”, “scratching my head”, “scrambled” – which reassured me at least that I had not missed something blindingly obvious. So how can a book which, on many levels, baffles the reader be a rewarding experience? Easy: because that is not the reader’s only response. There is a huge amount in this book – it contains multitudes – and its half-life after reading is long. Part of my problem with it was not a problem with it at all: that afterwards, I couldn’t settle for a time into anything else as I kept wanting to return to The Buried Giant. Also it emphasises that a book like this is not a mystery to be solved, but a reflection and representation of life which is – let’s say – a mystery we all take part in. What does it contain? It has some familiar themes for readers of Ishiguro’s previous novels, though mainly from the trickier of his books such as The Unconsoled and When We Were Orphans: a dreamlike logic which telescopes locations and fuzzes the facts, and narrative detours on a quest the protagonists don’t really understand themselves. 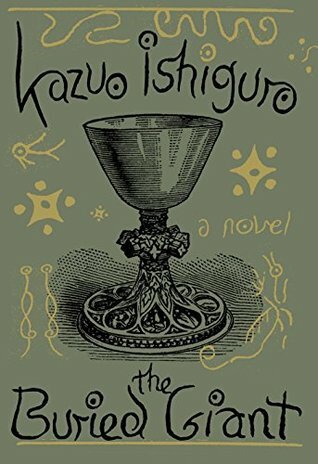 It also holds some firsts for Ishiguro, like a portrait of a marriage, and switches in narrators, though most of the story is told in the third person (another first). This is interesting because until now, Ishiguro has relied to some extent on his narrators’ ignorance of reality for his effects. Here, he brings it into the open by setting his story in a land where people’s memories are failing them. In terms of setting, The Buried Giant follows Never Let Me Go in using an alternative historic England: this time, around the fifth or sixth century AD, when the Britons are being pushed west by the incoming Saxons, and people share their space with ogres, pixies and dragons. The inclusion of these creatures means the novel will inevitably be referred to as fantasy, and if the simple presence of supernatural creatures makes it fantasy, then so it is. But this would be to overlook the fact that these elements are not a primary purpose of the book, any more than the science fictional nature of Kathy and her colleagues’ existence in Never Let Me Go was the centre of that book. Wikipedia defines fantasy literature as “written works that utilise the motifs, themes and stylistic approaches expected in the fantasy genre.” This is pretty circular, but it’s clear that The Buried Giant does not conform to any expectations, genre-based or otherwise. When devilish creatures are encountered, they’re despatched almost as an aside, or turn out to be weak and elderly and hardly worth battling. This deliberate diminution of effect goes all the way through the book from the title down: the buried giant referred to is a mound on the land that the protagonists worry about crossing, so they decide to circumnavigate it. We expect difficulties, but the next time we encounter them, they have passed it without incident. ‘They’ are Axl and Beatrice, an elderly couple of Britons who live in a village where a council makes edicts that are unexplained (such as that Axl and Beatrice are not permitted a candle in their chamber), and people quickly forget those who disappear, even when they return. “The mist” is how Axl and Beatrice refer to the clouding of memory which affects everything and everyone: they cannot even remember if they have a son, though they quickly decide that they have and that they must go to his village, though they are not quite sure where it is. (“Already these recollections were growing confused, in much the way a dream does in the seconds after waking.”) So the story proceeds by ellipsis and omission, and most of the characters’ questions, like the reader’s, will never be answered. Axl and Beatrice’s nonexistent memories of their son are representative of a wider phenomenon: people alight on ideas which then become solid, the mind grasping at any detail, however vague, to build a strong conviction from nothing but air. Simultaneously, in the absence of knowledge, superstition runs amok. There is much discussion between Axl and Beatrice of the benefits of memory: they know they love one another (they are almost comically devoted) but have no evidence how or why. They want to retrieve their memories, but worry that these might dredge up experiences best forgotten. Like the buried giant, memories may best be left undisturbed. Yet what do we have but our memories, and what are our character and relationships based on but what we have known so far? the giant, once well buried, now stirs. When soon he rises, as surely he will, the friendly bonds between us will prove as knots young girls make with the stems of small flowers. Men will burn their neighbours’ houses by night. Hang children from trees at dawn. The rivers will stink with corpses bloated from their days of voyaging. At this point The Buried Giant seemed like another first for Ishiguro: a political book, reminding us of post-war regimes like Iraq. Along their journey, Axl and Beatrice encounter many other people, some of whom, as in The Unconsoled, seem to represent aspect of their own characters and lives – a woman abandoned without her husband by a boatman expresses Beatrice’s own anxieties about being left by Axl, and Edwin, a boy they take with them after he is forced to flee his village, acts as a surrogate for their putative son – as does, more confusingly still, a soldier they meet while with Edwin. They also meet Sir Gawain, still pottering about in his old age and not quite getting around to fulfilling King Arthur’s demands of him, and getting pretty shirty when reminded of his failure. Many of these encounters are enlightening (or at least cast interesting shadows), but sometimes the diversions on the quest and the new characters are duller than must have been intended. In particular, a long stretch of the novel set in a monastery and immediately after the characters leave, sags dangerously and had me hoping for a magic spell to get to the other side. It’s possible to see how the entire book might have that effect on some readers. Ishiguro repeatedly frustrates any hopes for a usual narrative trajectory, muffles noise, and hints at things which are never explicitly revealed. It is because of this that, despite the language being simple, despite every action and event being clearly described, we end up with such a thoroughly enigmatic novel – a magical mystery tour. The narrative voice is seamlessly executed, with no authorial trace – Ishiguro never hammers things home for the reader, or even taps them lightly – and this makes it immersive and engaging. The other aspect of The Buried Giant that pushed it higher in my estimation was the relationship between Axl and Beatrice. The uncertainty and imbalance of their love moves through the book from almost nauseatingly uxorious (“Still here, princess”) to horribly upsetting (if I mention pixies at this point, those who have read the book will nod solemnly). Their dialogue is more often crosstalk than coherence, as they constantly disagree over memories, and they exhibit a combination of blithe reassurance and anxious caution that looks very like much familial love. As the book progressed, I started to think more and more of how their lack of memories were a kind of death, and as with Never Let Me Go, death and how we approach it and live with it looms large in this book. I have written 1,500 words on The Buried Giant without really doing much more than summarising what I see as the main points. It is too big for me to do more than kick its tyres and nod appreciatively. It is frustrating and as far from perfect as we might expect a great novel to be, and part of my appreciation may well be an awestruck belief that what I don’t fully grasp must be better than me. It is a book that will be discussed and that will endure, and it has the rare feel of a publishing event which is also a literary event. It will not supplant The Remains of the Day or Never Let Me Go in popular affection, but for those readers who love a book that asks more than it answers: there’s a journey you must go on, and no more delay. I loved this book yet am finding it difficult to put my thoughts into words, but reading your great review has definitely helped me to start formulating something! If this is a fantasy novel, then I’ve been reading something else – like when one character sees ogres and another sees tree trunks – the fantasy seems to come from beliefs, superstition, fear and even spin more than magic, combined with confused memories of old age, or unformatted ones of youth in Edwin’s case. It was a journey well worth taking. An excellent point, Annabel, and I’d forgotten about that scene. I think you don’t have to look far to see that most reviewers are having difficulty putting their thoughts into words. Join the club! “Ellipsis and omissions”, as you say, I can agree with. Otherwise, I hear you saying, in essence, ‘this book is so bad it’s good’. I read it and was not taken – anywhere. Vastly inferior to Never Let Me Go and The Reamins of the Day, in my opinion, both of which I greatly enjoyed. Thanks JM. I’m sure I could have made myself clearer above, but I most definitely am not saying “this book is so bad it’s good”! ..and it’s not really to disparage, though it sounds that way. I have a hard time qualifying what I did Not like about it. The story began with promise, the semi-exiled couple, a hazardous quest to come. 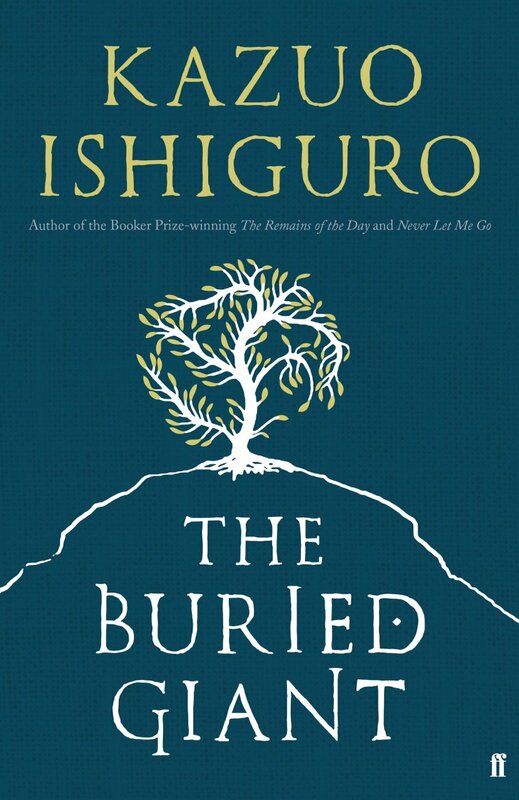 It felt very much to me that Ishiguro lost his way (perhaps even more than Axl and Beatrice), was maybe going for a mist-shrouded mood, an elusiveness of memory, that simply couldn’t sustain the novel. It sounds very interesting, mostly as it raised more questions than it answered which is always a rather lovely sign. Oddly enough I was reminded by your review slightly of an absolutely classic fantasy novel, Gene Wolfe’s Soldier in the Mist. In that a Greek soldier in the heroic age suffers a head trauma that leads to him being unable to remember anything of his past beyond the day he’s currently in. The novel is the scroll he keeps recording his memories, so he can make sense of the world. In that he sees the supernatural, but others with normal brains see only rivers where for example he sees a river-god. It’s very well done. The same idea crops up even earlier in the 1980s Spanish roleplaying game Aquellare, derived from Dungeons and Dragons. In that there’s a trait for how superstitious characters are, with those who score highly in it seeing ogres and goblins and the like while those more rational see only ugly men and bandits and so on. Of course, I suspect Ishiguro is using these tools for different ends (to an extent anyway, though the Wolfe has a clear narrative arc which it sounds like this refuses). Anyway, genre classifications are arid. I do think though it’s interesting how ideas can crop up independently and be used in such different ways (I’d be amazed if Ishiguro knows Aquellare, and I suspect he doesn’t know the Wolfe given his comments in interviews about the fantasy genre which suggest he’s not familiar with it). Of course it’s because all three draw on the same incredibly rich well of inspiration, European folklore and myth, as say Winterson does in the fabulist passages in Oranges. One concern, it does sound possibly a bit flabby. I parted ways with Ishiguro when his books became large enough that you could tunnel into one of the hardback editions and hollow out a home for a decent sized family. Is this another of those? Does he, dare I ask, need an editor? The reviews in general are interesting, and make the book sound worthwhile (although I am not a particular fan of Ishiguro, having only read one by him). The comments here are crystallising a comparison in my mind with Sjon’s From the Mouth of a Whale, which is no bad thing at all. It’s only 350 pages or so which hopefully addresses my flab concern. I’m quite tempted by this one, which generally I’m not with Ishiguro (such a polite writer). The use of myth makes it more interesting to me, in a way most of his recent works haven’t. The Sjon comparison is an interesting one. I must get round to him. I really appreciate, as one reviewer to another, that you are aware of what you’re doing in your reviews. You give readers lots to think about, but in the end you admit that you can’t really help us because the book is a bit of a mystery. Thanks for that;it warms my heart. I loved it. I wasn’t blind to the flaws, but the audacity of Ishiguro’s vision (“Oh God, there really are dragons“) was exhilarating. I particularly love the way seemingly important narrative devices just fizzle out, casually cast aside. Thanks for this excellent review. I was really wondering where this story was going until I read it and then it gave me a few ways into the book and understanding it for myself. There are a number of allegories, some of which are clearer now, but I wondered what the candles mean? Why is the couple not allowed any candles?